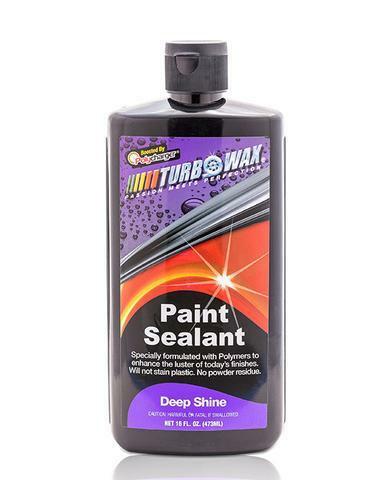 Turbo Wax Paint Sealant w/ Polychargers is a long lasting synthetic sealant with professional strength additive called Polychargers. These space age polymers bond to your vehicles surface and creates a shield that protects your paint from high temperatures, UV Rays, elements and highly corrosive environments. These Polychargers make our Turbo Wax Paint Sealant last longer, with increases protection while leaving a wet mirror shine.